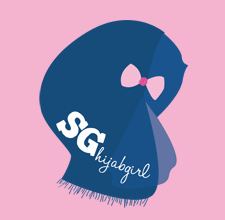 sghijabgirl by Nadya Abd: shopsghijabgirl, let's go! Finally, an advertorial for myself. I feel weird writing this but if I can write advertorials for other blogshops, I must write one for myself too! Hehe. I believe it goes without saying that whatever I choose to sell on shopsghijabgirl are truly clothes that I would wear. And in that sense, I pay close attention to the fabric used (none of those flimsy thin sheer material), to the details, especially when it comes to lining for skirts. 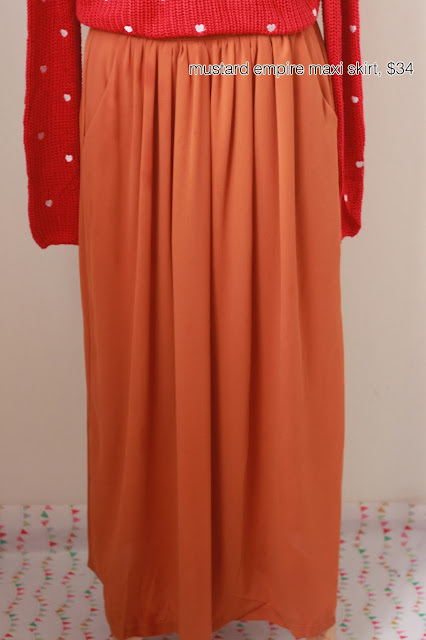 I used to sell the Blair maxi skirt and to be honest, I love the material and the flare, but I disliked the lining because the coverage was just, not good enough for me. So this time, I handpicked and checked every single item. 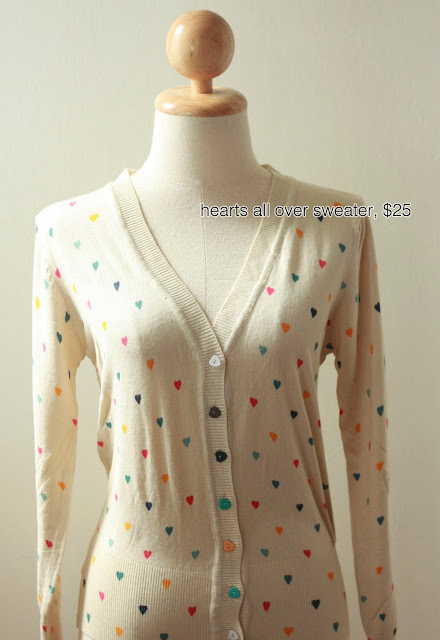 As I'm writing this, all the sweaters are out of stock except for the Hearts All Over sweater which I used to sell months ago. This time, I restocked and brought in quite a large quantity as it went OOS within minutes the previous time. 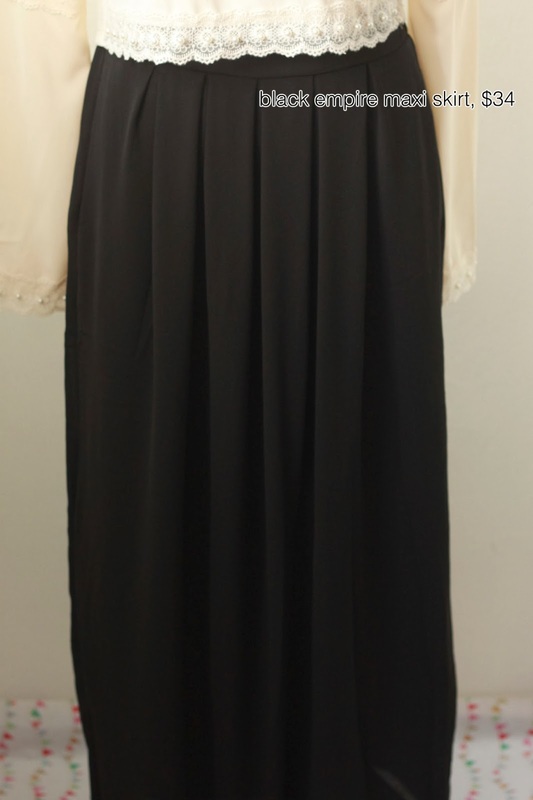 The minute I saw these pleated maxi skirts, I fell in love. 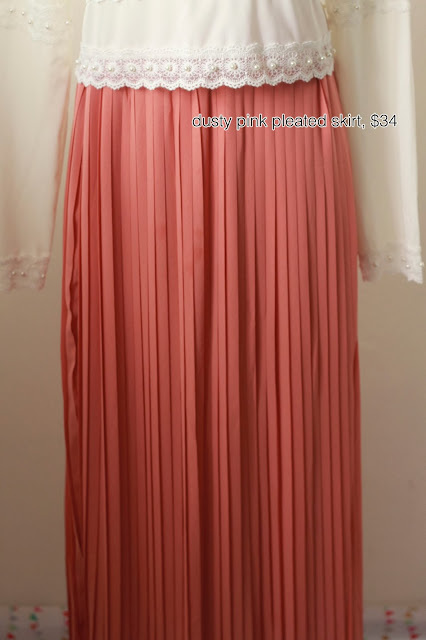 The length was just perfect, hello 100cm and I've always been searching high and low for pleated maxi skirts that would not make me overdressed. 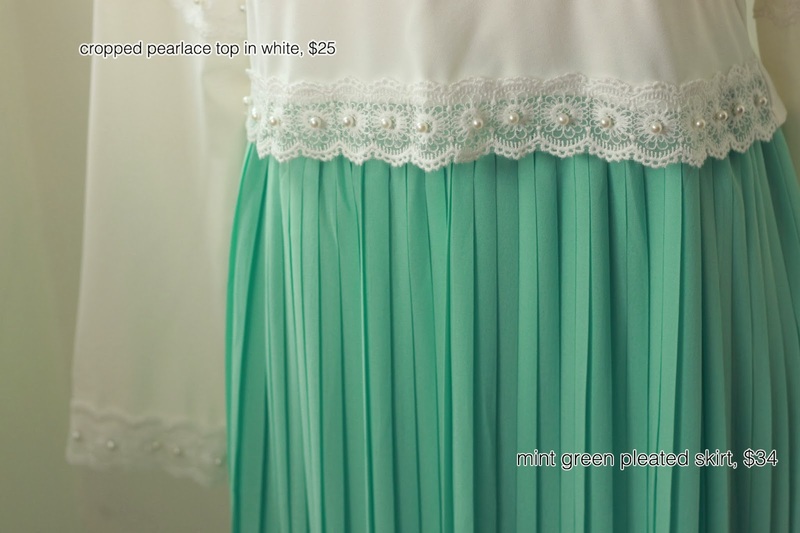 Most of the pleated maxi skirts I found were either too short, or the lining is too too short! This is the one that I can wear to work with tucked in shirts or blouses AND I can also wear it with something lace or sparkly to a wedding. 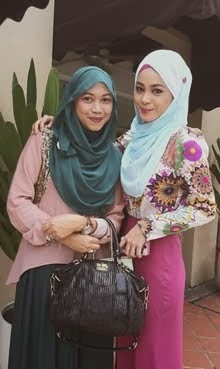 As usual, I will always choose my favourite pastels, mint green & dusty pink. Then I thought, hey, not everyone will like pastel princessy colors so I went for the more royal jewel colors, emerald, royal blue and royal purple. 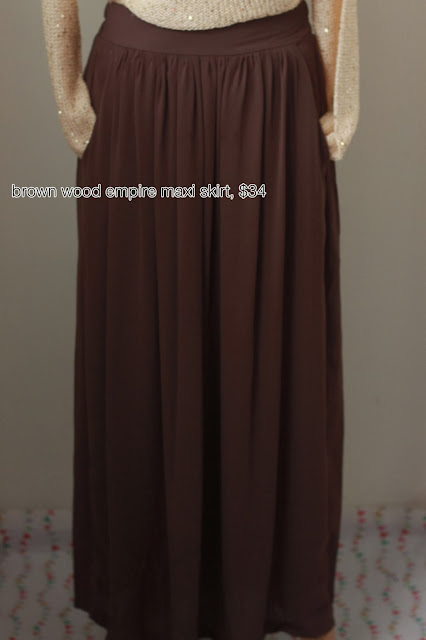 Ah, this is the classic Empire maxi skirts. Seriously, I think pockets on maxi skirts are heaven sent, especially this ones cos they're kind of concealed. I'd say this is the perfect-for-a-teacher-skirt. If I'm wearing skirt at work, I'm always scrambling, "where to put my work pass?" "where do I put the toilet pass" HAHA! So if you have a job that requires you to carry small things, like a pen, pass or just because you like having pockets, this is a must have. 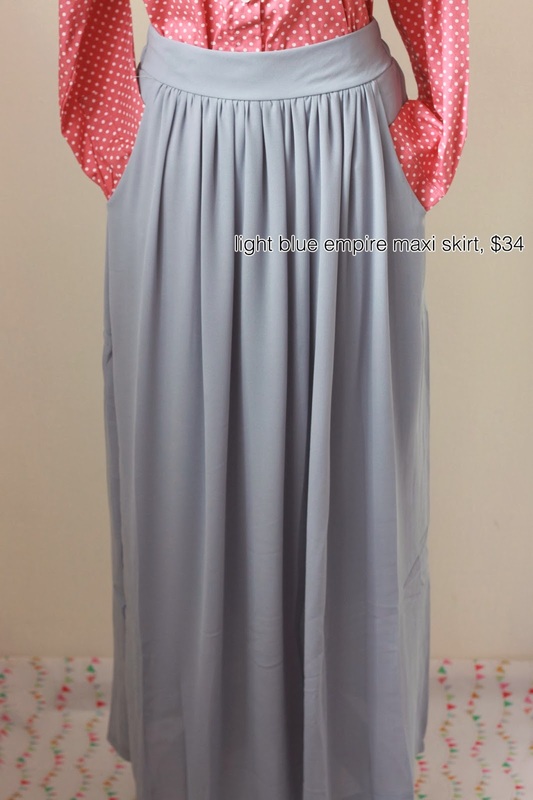 The ultimate thing I love about this Empire maxi skirts is not only the concealed pockets, concealed elastic waistband but the material! 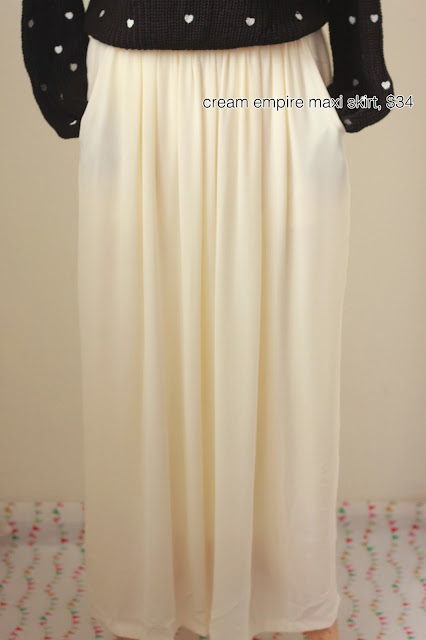 Top quality georgette ok, not the flimsy thin chiffon kind! 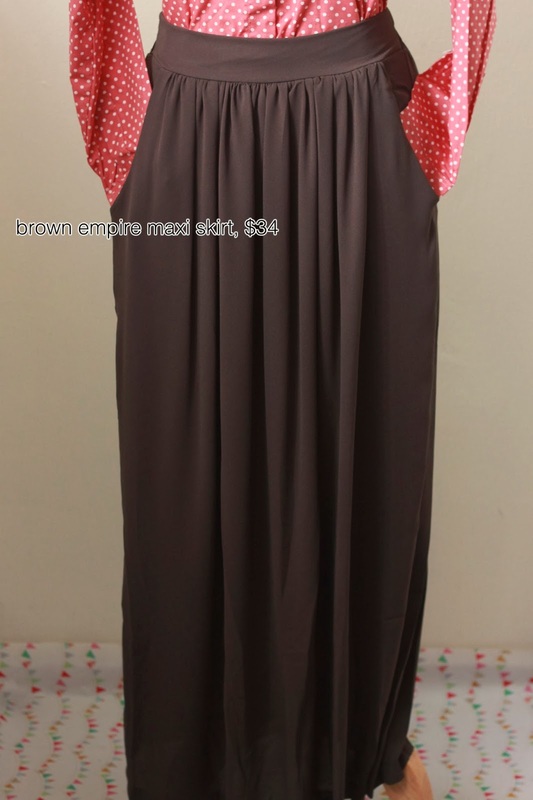 The fabric is close to non-sheer (especially for the darker colors) plus lining! How can I not keep this skirt in all colors you tell me! 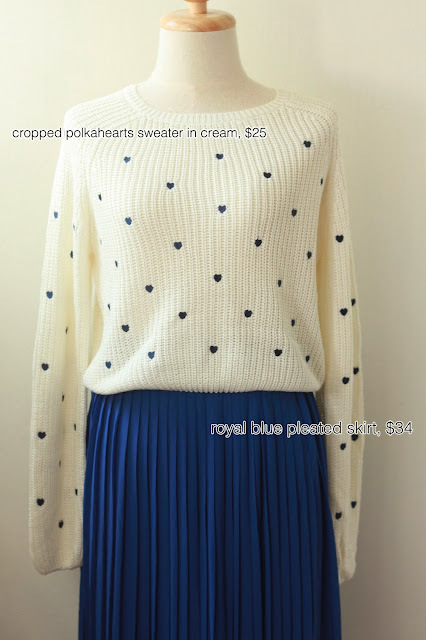 and then, MY ULTIMATE FAVOURITE SWEATER! Not even joking guys, I loooooooove this one. I'm thinking of keeping another one, just so you know, for back up lol. In case anything happens to the first one hehe. All the other items are either sold or pending so I'll stop here. 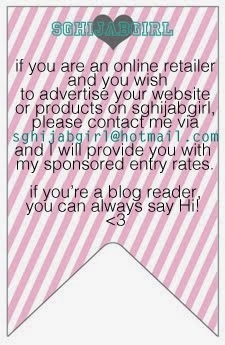 I look forward to bringing in more awesome goodies for shopsghijabgirl! What are you girls looking for? Lemme know okie! 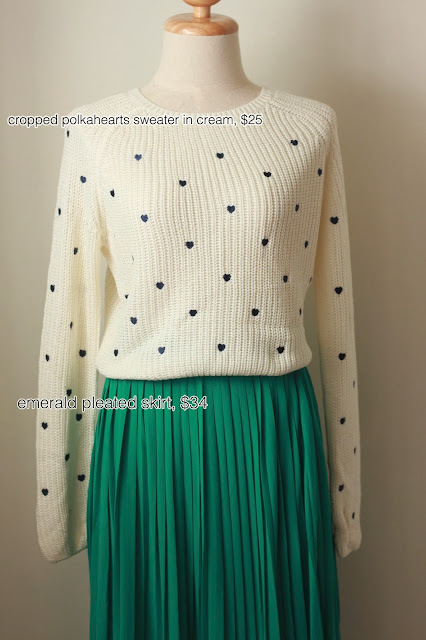 to look at the photos of the items/measurements. do you see life in monochrome?